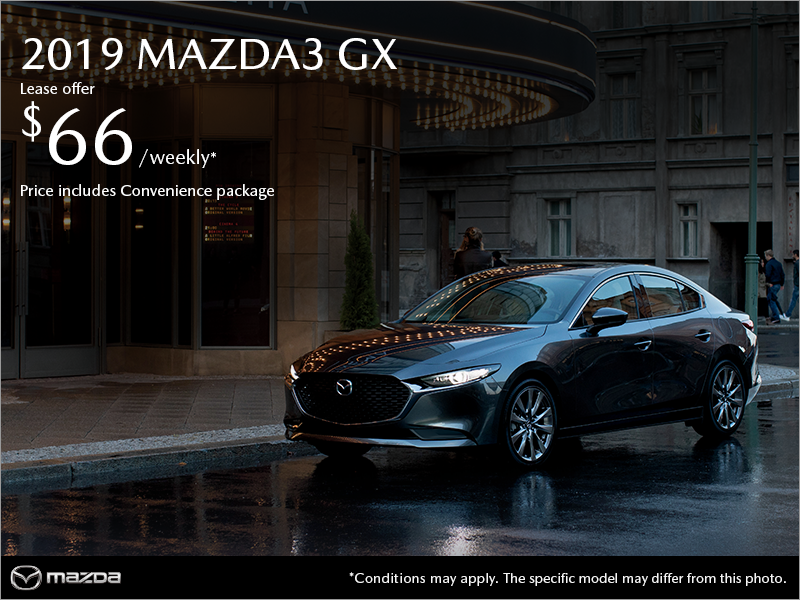 2019 Mazda 3 GX Deal in Montreal! This special promotion ends on April 30th, 2019. Act now before it's too late! *Bi-weekly lease offer for a new 2019 Mazda CX-3 GX (HVXK69AA00) / 2019 CX-5 GX (NVXK69AA00) /2019 Mazda CX-9 GS (QVSM89AA00) / 2018 Mazda6 GS 2018 (G4SN88AA00) base models, priced at $23,040/$29,845/$38,695/$28,895, with 130/130/130/130 bi-weekly payments of $111/$158$/$218/$175, for 60 months, with $2,195/ $2,595/ $0 / $0 down. 20,000 km/year kilometre allowance; charge of $0.08/$0.08/$0.12/$0.12/km for excess kilometres. Payments cannot be made on a weekly basis and are shown for informational purposes only. 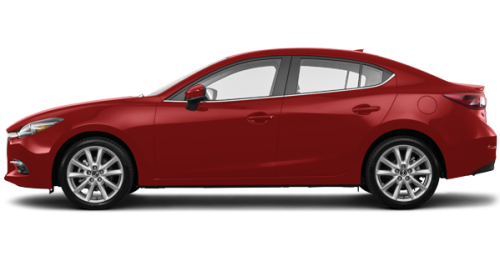 Selling price of the 2019 Mazda3 GX (DVXK69)/2019 Mazda3 Sport GX (SVXK69) base model with Convenience package $22,095/ $23,095, including freight and delivery and A/C fees. Some conditions apply, details at Spinelli Mazda.